The city honored police Officer Jorge Flores with the Carter Harrison Award. Flores stopped an armed robbery while off-duty and traveling with his family. 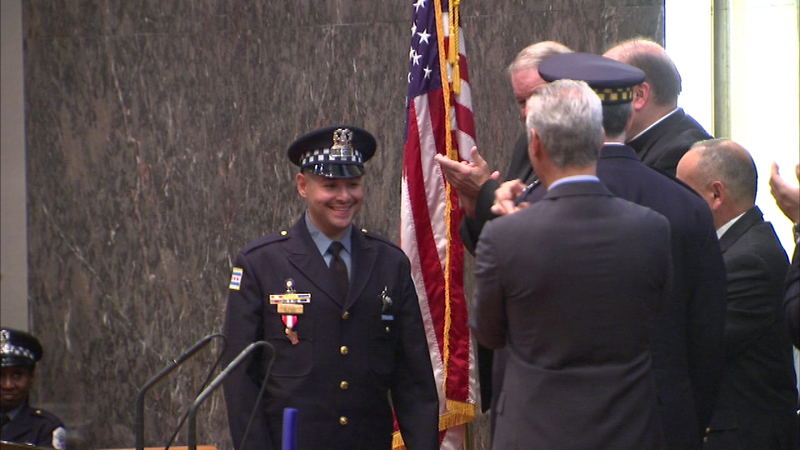 CHICAGO (WLS) -- Chicago honored some of its top police officers and firefighters Tuesday. Fire lieutenant and EMT John Gricus received the Lambert Tree Award. While off duty and on vacation with his wife, Gricus saved a man from a burning building.